Hey guys! Wow, I haven't posted much. Bear Pride was really great! We really enjoyed it. 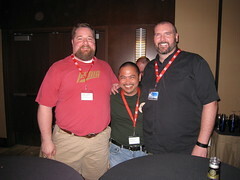 It was great to hang out with mrpandabehr and his hubby Michael all weekend. Thank you Chicago for making the Memorial Weekend truly memorable! I saw many LJ friends there like ursusnoir, perkk, and geometrician, hayseedplowboy, cubstraction, cachorro34, wooferstl and others who I may not remember right now. It was great to finally meet!